The Cherkassy region of Ukraine, late 19th - early 20th century. 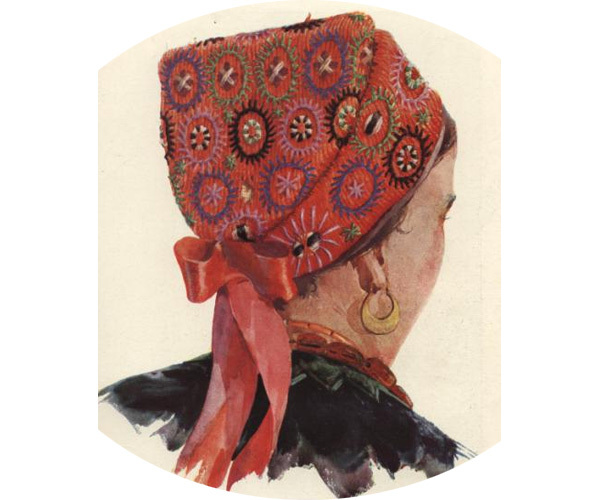 In Ukraine, by the ochipok (cognate to the Russian word chepetz (cap)) they meant the headdress that the married women were supposed to wear. 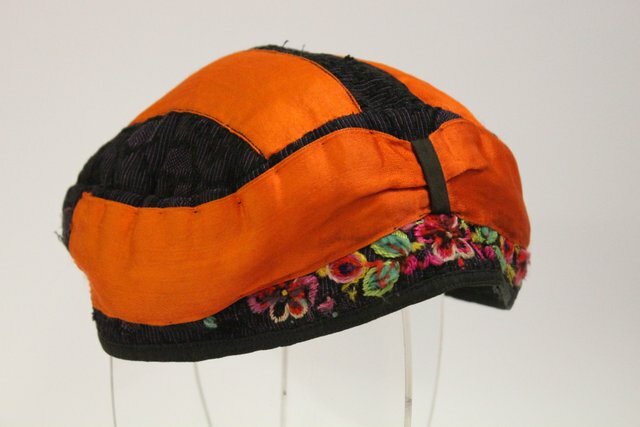 The ochipoks for everyday wear were made ​​of simple, cheap kinds of fabric, but for holidays the headdresses were sewed from expensive fabric which would be brought from the city (in this case, orange satin), then it would be decorated with embroidery, colored seams, bows and lace. The ochipok could be solid or soft, as this sample; in Ukraine they called the soft ochipoks "pigs” and "zborniks.” At nape of the neck the ochipok would be tied with a string, as shown in the photo. 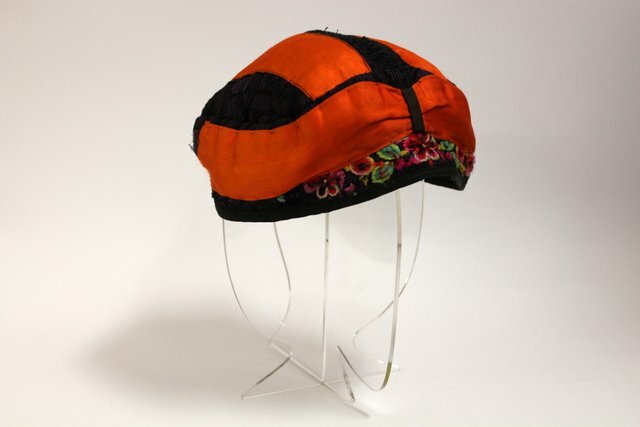 Over the ochipok could be worn a scarf, but embroidery on the headband would remain seen.